Cozy Chicks: ANCHORS AWAY . . . TO CUBA! 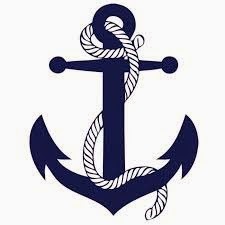 ANCHORS AWAY . . . TO CUBA! As a part time resident of Key West, I can tell you that people in the Conch Republic are excited about the recent news on opening relations with Cuba. There's a ferry dock just waiting for an opportunity to transport vacationers across the short 90 mile stretch of water. Two years ago I was fortunate enough to make a "humanitarian" visit to Cuba through the Key West Botanical Garden Society. We took boxes and boxes of clothing to sister botanical gardens to be stored for hurricane emergencies. The people have so little, these stores of clothing help. I wasn't sure what to expect when I got there. Military men hovering around us with AK47s? Roped off areas? Video surveillance? People afraid to say "Peep?" None of that. I saw a lush, beautiful country where people from England, France, Germany, Australia, and Canada were vacationing at luxurious oceanside resorts, restaurants serving delicious food, spotless, comfy hotels, tours that took us everywhere we wanted to go, and a few police. The people we met were happy to talk to us, didn't appear undernourished or diseased, and generally seemed satisfied with the little they had because they knew nothing else. And boy could they dance. And took every opportunity to do it. I saw flamenco dancers that knocked my socks off -- well, sandals. They had instant medical care and no one was homeless, although that often means several families living together in the mansions that were confiscated in the take-over. Life was definitely substandard when compared with ours. For instance, a bottle of shaving cream or a tube of toothpaste might cost a week's wage, and the offerings at the separate stores where they had to shop were slim. Yet they expressed doubt about opening up to the US. Many were, and probably are still, afraid that they'd be faced again with the same problems that started the revolution -- outside control of their country. And they don't want fast food or the medical issues that come from it. But Cuba will open up and they will get fast food and our diseases, and everyone here will wonder what the heck took so long. We face much greater dangers from the middle east, yet travel there isn't banned. From my perspective, it'll be interesting to watch, especially with a Key West view. I will say prayers for all the kind Cuban people I met there, however, and hope this will work out in their favor. Would you take a 1 1/2 hour ferry boat to Cuba? I would love to go to Cuba! There are now flights direct from 8 American cities, including New York. I checked online ravel sites to see about prices but none were posted. I was disappointed when a disclaimer flashed on the screen saying that travel to Cuba was currently restricted because of government regulations, so no prices would be quoted. Which seemed odd? How can flights leave from the US every day, but they're not allowed to quote the price? This was just last week but maybe things have changed. Thanks for the great post! Yes, I would love to take a ferry ride to Cuba. I do think the government must see the threat that we really have from that horrible group trying to take over the Mideast. I've made a few of those trips, too, Cordella. One between Italy and the Isle of Capri during a thunderstorm. 45 minutes of queasiness both ways. Argh. But the water between Cuba and Key West is usually fairly calm. Two years ago I had to get a visa from the gov't to go there and it had to be for humanitarian reasons. I wonder if that's still necessary. Good point, Anonymous, about seasickness. Otherwise, count me in. I would love to visit Cuba. How weird about the fare prices, Mary! If I traveled I would go. A friend went a number of times with a local women's choral group and they packed toothpaste and many other basic items, enough so their personal belongs and clothes took up a much smaller space. They also gave a concert with Cuban women singers while there. My friend and her group had to go to Canada to get a flight. I'm always amazed at the way distractions from what seems to me to be more important appear. Then I wonder why I'm amazed at what is considered "news" today. That's why I read English editions of foreign newspapers as well as those here. Long overdue...although the Cubans have legitimate concerns. On the other hand, employment will become available and they will be able to earn a sustainable living, repair infrastructure etc. Yes, I would travel there, without hesitation! I think the current rule is that you can't go for a "beach vacation" (although I don't see why not). TIME magazine had a big feature on Cuba a couple of weeks ago. Obama has loosened some of the restrictions on travel but allowing more freedom to travel is up to Congress, and so far they have not agreed to do so. Yeah, I can't understand why they won't quote prices. I think I'll try again next week, just out of curiosity. You're right, Zena. You can learn more about what's really going on by reading outside newspapers. And I also took toothpaste, shampoo, deodorant for the Cubans. We we told to leave those items rather than money as tips for the hotel staff as that helped them the most. And we all wore clothes on the trip that we could leave behind. They need everything. And yet they were always smiling and kind, which said to me that "things" don't make happiness. It's a beautiful country. Havana will rival any spanish city when it's completely renovated. It's half done now and it's stunning. I could see why it was the popular place to go in the 1920s. You'd be fascinated by the country. In terms of weather, it's very much like Key West, but you can't beat their music. Hotels were great but any public restrooms left a lot to be desired. No toilet seats! And they ration toilet paper by handing you some at the door. Otherwise, my trip was great. I would love to. I know people who have vacationed there and loved it. There are few cars as gas is sparse, and very bad roads, but nature is gorgeous and the people friendly. What more can you ask for. I'll bet things will start to change now. Once the US is open, someone will invest in roads, gas stations, etc. It's kind of a good news/bad news situation.